London, 28 Jan 2014‑‑After a year in which M&A activity in the power sector moved down a gear, deal activity is set for a return to an upward trend during 2014, according to PwC’s annual Power and Renewables Deals report released today. Technology, finance and politics are all sources of disruptive change hitting the sector and this has been among the factors weighing on deals in 2013. 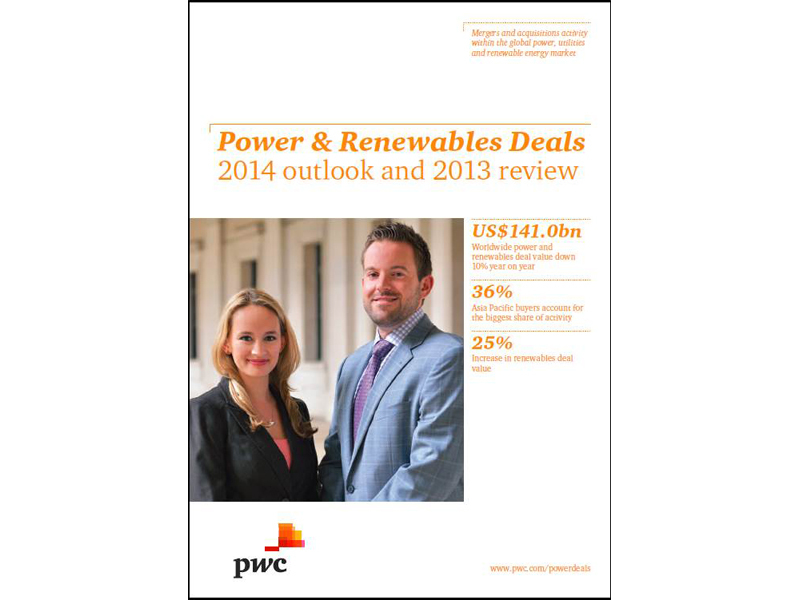 Total worldwide power and renewables 2013 deal value was down 10% year on year. But the Asia Pacific region and the renewables sector bucked the trend. Renewables deal value rose 25% the value of Asia Pacific deals was up 6%.